Many people are concerned about the image of today.Because this image has become an art.You can see various photos on social networking sites.Also, if you share photo with friends, they will sometimes use different websites. Many people are concerned about the image of today.Because this image has become an art.You can see various photos on social networking sites.Also, if you share photo with friends, they will sometimes use different websites.So, for example, Facebook, Email, Viber and Shareit and use a variety of methods.So, this is an easy way to do this image hosting.You can use many websites for image hosting.You can use all of these websites for free.So such a situation is good for you. Also, images of different websites are used.So even in such cases, these sites can be used.It also provides a link in image hosting, which can be retrieved from anywhere in the world.So, let's look at suitable websites for your image hosting. You do not have to register there for uploading images on this site.Also, you can on this site to keep the quality of the image secure.Images from your computer can be uploaded to Imgur to be shared on your favorite social network via a unique URL, or within the Imgur community itself.You'll want to use the official Imgur app to use it from a mobile device too.You can upload 20 MB for all non-animated GIF images and 200MB for animated GIF images. 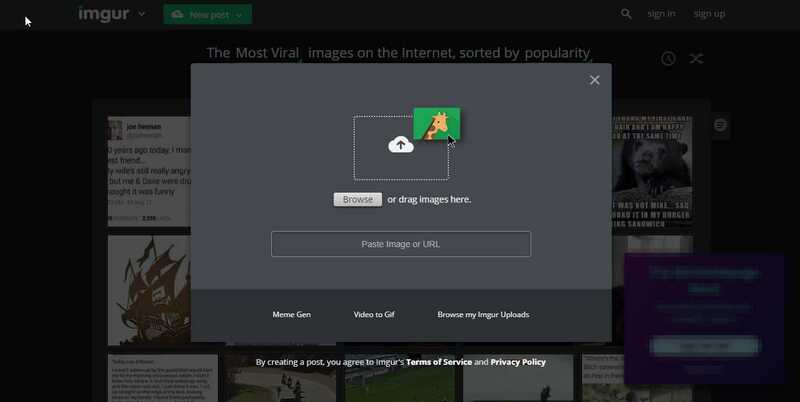 This will connect to your gmail account.That way you can upload unlimited image and videos.You can access it on the web at photos.google.com or simply download one of the free Google Photos apps to automatically upload all photos you take with your devices. They'll all be synced up right across your account and accessible from anywhere. As more facilities, Automatically backing up photos that you take, uploading large quantities, uploading high-quality photos, editing them, organizing them, and finding them again later using visual search. Unlimited free storage for photos taken by smartphones and point-and-shoot cameras (16 megapixels or less) plus the option to alternatively use your limited storage space from your Google account for photos taken by DSLR cameras. You can also upload videos in 1080p HD. This is also a great website.Image uploading is very simple and your images will never be removed for inactivity.You can also use the URL to enter the image on this site.Also, registering is not necessary.After upload the image for this web site, you can download Direct image links, BBCode and HTML thumbnail.And there are 16 MB for storage. Flickr is one of the oldest and most widely known photo sharing social networks currently out there and still going strong today.You can get 1TB storage on this site.Also, you need to register to use this site.You can upload your picture and edit it on this site.So you can all experience these for free.You can also choose to publish your photos under Creative Commons licensing to allow others to use your photos with attribution. Like Flickr, 500px is a popular social network for photographers looking to share their best photos.You can Social networking with other photographers and licensing or selling your photos with this website.Since 500px is more of a social network and photography portfolio site than a simple image hosting platform, it doesn't specify any file size or storage restrictions, but you can upload very large JPEG files. As a free member, you only get to upload 20 photos per week. A $25 annual membership gives you unlimited uploads and more features. In addition, many more websites are visible.These sites can also be used for your image hosting. 3. TinyPic - No larger than 1600px for both the width and height with file size limits of 100 MB. You can also upload videos up to five minutes in length. How to Edit Any Photo Without Any Software? 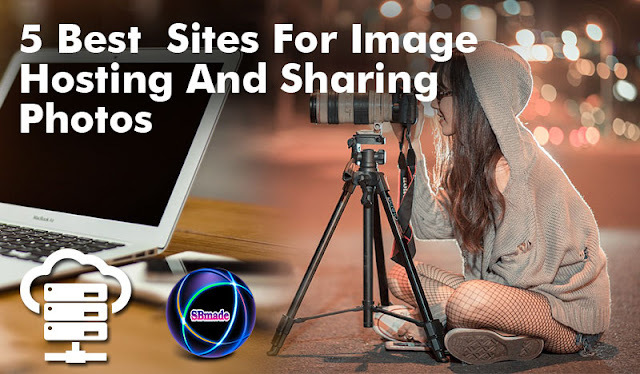 So you know about 5 Best Sites For Image Hosting And Sharing Photos, Hope you like the post, don’t forget to share it with your friends and leave a comment below if you are facing any problem at any step in the method discussed above.Thank you.